It’s one great sale after another at Kohls lately. 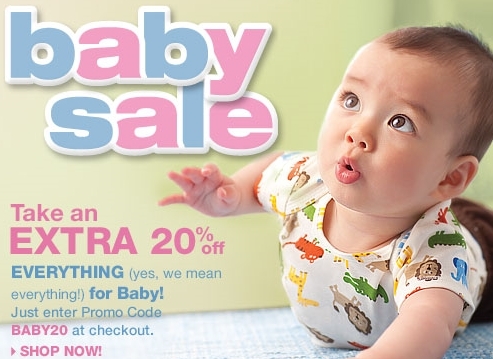 Now you can get an extra 20% off on everything for baby. Use coupon code: BABY20 at checkout and stack it with the other code: EXTRA20 for a total of 36% off your order. Shipping is only $.99 but I’m pretty sure that ends tonight (1/10). Don’t forget, you can still use the EXTRA20 code on everything else including clearance items.